I had the pleasure of meeting Saša Stojanović in person a few months ago and "Var", his latest novel, arrived at my home on the morning of my birthday. Once I had opened the package and given the book a quick glance, I strongly doubted that it would become my next translation, and, even less, that it would fascinate me more and more as time went by. Although I had obviously read everything I could find on the author, I did not decide to take up this translation because of the positive reaction of the critics. Saša Stojanović is considered one of the best contemporary Serbian novelists, the most compelling, a word virtuoso who uses language brutally, strongly, decisively and even at times with vulgarity etc. etc. He had also received prizes, congratulations and popularity well beyond his homeland. Yet, not even these acclaims were enough to provoke any particular interest in me. Nor was the fact that in the Czech Republic the book had been an immediate success, that it had won the prize for the best translation, placing it ahead of the recent translations of Anna Karenina and Homer’s Ulysses, that is had competed with Umberto Eco’s The Prague Cemetery for the best book of the year, that the author had become a member of the Czech PEN club … none of this would have convinced me of the value of the text had it not been for the value of the text it self that I held in my hands. How many books have been written about war? And how many of these have been about war in my country? I don’t know. I avoided them, all of them, and only now and then read something out of an obligation to read and be informed. No matter what they write, responsibility and dignity are always the first things I look for in an author. But, from an author who deals with issues related to the war on the other side of the Adriatic, a war that still distresses me profoundly, I ask for more, much more. I weigh up his words with great care and certainly wouldn’t have translated a clever word merchant. Who then is Stojanović and why do I wish to talk about him? In 1991, as a recently graduated veterinary surgeon he came to the University of Bologna to continue his studies in this field of specialization. In the meantime the political climate had changed for the worse and he decided to remain in Serbia with his elderly parents and younger brother. There can be no doubt that he was a strong, intelligent individual without prejudice towards others, though, maybe, at that time still somewhat ingenuous. In fact, he underestimated the Milošević regime and for this he was to pay dearly: a few months in prison in 1994 were but a prelude to exhausting legal proceedings against him over the following eight years. There were 7,000 pages of legal documentation and more than 300 days in court in expectation of a 19 year prison sentence asked for by the public prosecutor. Today these are just cold numbers that allow one to vaguely intuit the heavy burden he had to endure. It was in the midst of these circumstances that his father, who stood by him until the end, died. Finally in 2002, after the fall of the regime and the time required to renew the judicial and bureaucratic systems again, he was exonerated from all accusations. Before this, however, his ordeal still had a long way to go. In those years Saša continued, surviving and maintaining his family as best he could. When recruitment for the Kosovo expedition began in 1999 he was working in Greece and, like many others, he could have stayed there. Yet, he was fully aware that such a decision would have condemned his brother to military service since the laws required one son from each household to sign up. 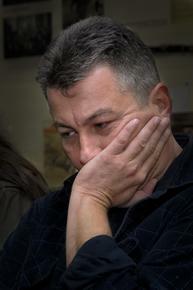 With the aim of defending his brother as well as protecting his future wife, who was pregnant at that stage, and who would have paid a heavy price as result of his disobedience, Saša returned to Serbia and was sent to the front as medic. He never was man of simple illusions but on the battlefield any residual trace of illusion was definitively eliminated: the government that had sent them to war, to kill and be killed, took no care of its soldiers. For the cold, the hunger and their sheer senselessness, all wars are always the same. Soldiers were mere cannon fodder to be returned to the fight with very little first aid medical supplies and he was fully aware that there was little he could do which might be of any significance, whether to himself or to others. Even if his own participation in that war undoubtedly contributes to the veracity of his writings, this, in my opinion is certainly not enough to explain the unquestioned significance of his work. In this regard his total lack of partisanship has to be pointed out. "Var" is not a political work defending this or that position, but a ruthless voice denouncing crimes as crimes and Stojanović makes no distinction as to who committed them. His criticism was directed equally at the Serbian military hierarchy on whom the life and death of simple soldiers, enlisted against their will, depended as at those who, in order “to solve the situation", had decided to bomb the country. There can be no reasonable justification for killing, even if, on occasion, the great world powers try to convince public opinion that this is the only way out. In the second place, and certainly no less important, we are, from the structural point of view, in the presence of a masterpiece. The main challenges a writer faces are, on the one hand, that of finding the correct form with which to narrate his story without becoming a prisoner of his own individuality, and, on the other hand, that of dealing with complex themes such as a warfare without falling into pathos. Stojanović does not accept easy solutions. In his writing, literary ethics and aesthetic form are inseparable. If one wishes to remain loyal, and to write honestly (1) - and with responsibility, no errors are allowed – no inexactitudes, oversights, equivocations, slips of the pen or gaps and only when I began the translation, and aware of the challenge ahead of me, did I fully perceive the depth and intensity of his nine years of scrupulous work. It seems superfluous to have to point out how important a good translation is to a book on its reception in a new social and linguistics context. The objective any translator has is to find a subtle balance between two realities which are, in many senses similar, but in many others, different. This means having the courage to “lighten” the text of words which are too cumbersome and which would be an obstacle to the perception of the work as a whole, while at the same time respecting the particularity of the original text. 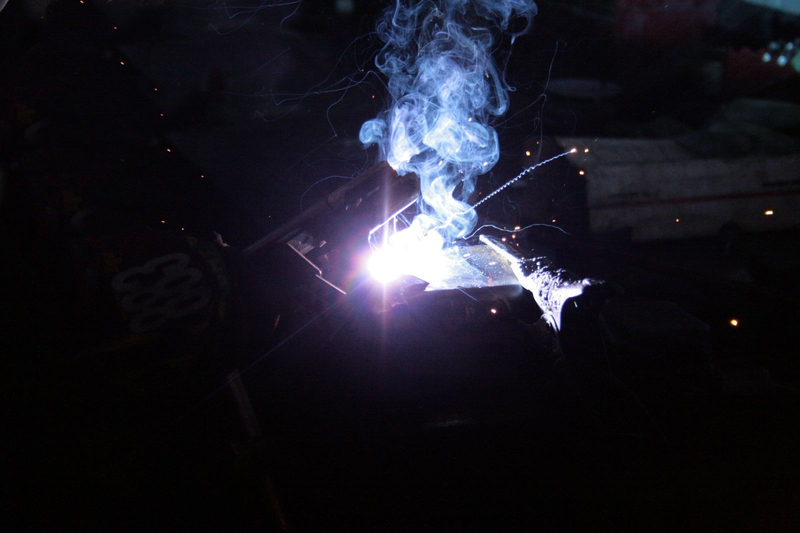 In this sense the translation of the novel "Var" is a continual challenge, beginning with the title itself which seems to indicate war due to the association with the English word "war", but which, in reality refers to a welded point in a metal which needs to be finished off in order to bear the weight of a construction, and which, in this case, refers to a weak or strong point, depending on one’s point of view, of a man unwilling to give up in the face of the cruelties to which he is exposed. "Var" is a wordplay which is impossible to maintain in Italian and the reason why I seriously suggest the future editor to change the title of the book to O Sole Mio, one of the narratives contained in it since this title clearly encapsulates the ironic spirit in which the book was written. The single narratives that make up the book are from some of the most important European and international authors: Will Durant, Henryk Sienkiewicz, Thomas Mann e Eugene O'Neill, through to Jan Kott, Michail Bulgakov and Bertolt Brecht, and finally Nikita Michalkov and Choderlos de Laclos. Pirandello’s "six characters" are transformed into "three evangelists" and Kierkegaard’s "Either/or" takes on wholly new connotations, while the great Serbian authors, Ivo Andrić, Danilo Kiš and Branko Miljković, finally take up their well-deserved place in the international literary panorama. Yet, the references are not limited to the mere mentioning of illustrious predecessors: each page, each image of the novel is an intricate network of allusions and hardly perceptible hints. A simple appearance of a song "tavnim drvoredima, kroz šume i višnjike" (Dark Roads, Among Forests, and Cherry Tree Gardens) aims at paying homage to Russian authors such as Bunin, Ostrovkij and Chekhov. Such references can easily be missed unless necessary attention is given to the text. It was Danilo Kiš, as far back as the 70s and 80s of the previous century who severely criticized western literature for being a consumer object in which both the publisher and readers expected authors to always write in the same style (2). In the novel of Saša Stojanović one needs to become used to changes of style from one chapter to the next, and, indeed, sometimes, within chapters themselves. As a result, not counting the other secondary voices, one needs to take at least thirty narrating voices into consideration – thirty like the thirty pieces of silver with which Jesus was betrayed. The task of the six evangelists, that is, the four canonized Saints with Mary Magdalene and Judas, soon reveals its true nature: the impossibility of reaching a conclusion. They had been sent to discover the Truth about the war on Kosovo and investigate Charlie, the alter-ego of the author who, for the entire book, is the pretext for its narration writing. That which, at first may seem a simple, linear investigation soon grows profusely with each new narrating voice which, apart from supplying information concerning Charlie, supplies particulars regarding its own point of view and its own life. One is struck by the absurdity of events, their brutality, the egotism, love and above all, love in places where one least expects to find it. It is certainly not an easy book to read, and even less so to translate. I had to constantly deal with my own personal limits, with deeply rooted prejudices which, I was firmly convinced, I had already overcome and with a sense of modesty I could not allow to impede my work. Not judging others is certainly the most difficult lesson to learn. (1) The expression used by Danilo Kiš in a text from 1957, "Pohvala spaljivanju" (Praise to a gesture to commit to flames). The compression of the words to Kiš is never an easy procedure aimed at obtaining a perfect aesthetic form. Along with this, pace by pace, is the need for a literary ethic. "Pohvala spaljivanju" becomes a kind of appeal to protect the text from self-criticism, where Kiš reaffirms how important it is to be "pre svega čovek pa tek onda umetnik" (first of all the man, and secondly, the artist), who in turn needs to "pisati pošteno" (write honestly). (2) "[…] traže od tebe da im ponoviš ono što im je već poznato, da čuvaš svoj "rukopis", svoj zaštitni znak. Ja sam srećom, s te strane, miran, te mogu čiste savesti i natenane da tragam za novom temom i novim prosedeima, iz knjige u knjigu." Kiš D., Tražim mesto pod suncem za sumnju (Looking for a place under the sun for doubt), in: Život, literatura (Life, literature); priredila Miočinović M., Narodna biblioteka Srbije, Beograd 2003 (CD-rom) – 1984 interview – "[...] From you they want you to repeat that which they already know, that you remain faithful to your "writing", to your registered trade mark. Fortunately, from this point of view I am tranquil and with a clean conscience, I can comfortably look for new themes and new procedures from one book to the other." In the continual search for a suitable form to fully represent the matter dealt with the need to change drives the author ever newer formal solutions, not only from one book to the other, but sometimes within the same book as he searches continually for the best form with which to represent the subject matter. According to what the himself tells us, an emblematic example of this search for variation is the novel Peščanik (Hourglass): "Imam potrebu za promenom u neki drugi registar, iz mola u dur, i obratno, kao što imam potrebu da variram i stavove, "dolente" u "staccato", da lirske, "pesničke" fragmente smenjujem esejističkim itd. […] Kad čovek isprobava jednu temu, hoću da kažem na hartiji, pišući, ostaje mu da otkrije jedan od mogućnih prosedea, najpogodniji za određenu temu. A koji za neku drugu temu, drugu priču, nije pogodan. […] kao najeklatantniji primer variranja teme može se uzeti Peščanik, u kojem ima četiri različita rukopisa koji se smenjuju". Idem from "Looking for a place under the sun for doubt" – "I need to change register, from the minor key to the major key and vice versa, just as I need to vary the times, from “suffering” to” disinterested” and to substitute the lyrical arrangements, the “poetic” with narrative etc. [..] When a man experiments with a theme, I mean, on paper he has the obligation to discover one of the possible procedures, the one most adapted to the theme in question. And for some other theme, some other narrative this is not suitable. […] the most glaring example of variation may be considered the novel Peščanik, in which there are four different registers which interchange among each other.” Research by Anita Vuco. (3) Here one is reminded of Ernesto Sabato, the Argentinean writer of Italian origins whose first and most famous book was titled "The tunnel" (El túnel), 1948.